The Western Balkans will most likely remain an exporter of smart, educated people for years to come – within a migration dynamic that destination countries control. Public discourse on brain drain in the Western Balkans is often oversimplified: emigration boosts knowledge transfers, remittances, and access to advanced technology, improving stability and long-term development opportunities in the region. Membership of the EU would not end – and could even exacerbate – brain drain, as can be seen from developments in Bulgaria, Romania, and Croatia. Western Balkans governments must break their silence on emigration and be willing to take part in a difficult debate on the issue based on reliable data. The EU should try to understand the implications of emigration for Western Balkans countries, and to promote circular migration as means of maintaining their access to expertise in healthcare, education, and other sectors. Members of the EU should harmonise their immigration policies on the Western Balkans, coherently signalling their plans for the immigration of highly qualified workers. On 27 December 2017, the Skopje-based Institute for Strategic Research and Education published a study showing that 69 percent of lecturers, assistants, and researchers working in Macedonia’s higher education system would consider leaving the country to seek new employment opportunities, and that 20 percent of them had already applied for a job abroad. A study conducted in Macedonia in 2010 estimated that, during 1995-2000, the number of scientists and researchers in the Western Balkans decreased by 70 percent. However, it is not only professors and teachers who have stated their willingness to leave the countries of the region; a high proportion of doctors and other medical workers are also willing to move abroad. In Bosnia and Herzegovina, the national medical workers’ association reported that around 300 highly qualified doctors left Bosnia and Herzegovina in 2016. The number of doctors who emigrate may be even higher, given the fact that some of them leave the country immediately after completing their medical education – and so never register in official workplace statistics. Media outlets in Bosnia and Herzegovina calculate that it costs an estimated €150,000 to educate a doctor, suggesting that the country spends more than €50m annually on educating health workers who will leave the country. Education and healthcare are not the only sectors that suffer from brain drain. Engineers, information-technology experts, and workers with a vocational education are also leaving the region in massive numbers. The Organisation for Economic Co-operation and Development (OECD) projects that Serbia will lose around $9 billion as a direct result of brain drain in the science, technology, and innovation sectors. This figure is based on the number of people departing and the calculated costs of their education, as well as the fact that immigrants working in the technology sector normally earn above-average wages. Record highs in the emigration of qualified people have immediate consequences for the region – particularly in the public sector, as they can cause citizens to panic out of fear they will be unable to access adequate services. Once part of Yugoslavia, the Western Balkans has traditionally experienced high levels of emigration. The departure of citizens from the region increased in the early 1960s, a time in which Yugoslavia had levels of unemployment similar to those in the region today. Hoping to ease pressure on the job market and the wider economy, and recognising the opportunities emerging outside its borders, the Yugoslav government preferred to let unemployed workers move abroad so that they could gain new skills, send remittances home, and help boost domestic investment. At its highest point, in the mid-1970s, around 1.1 million workers, the vast majority of them between the ages of 20 and 45, left Yugoslavia. This was a significant number in a nation of around 20 million people. These emigrants, most of them men, included many farmers with little education, as well as people from cities. But migration did not solve the government’s problems. Although migrant workers sent remittances home, the money had little impact on investment or other factors underpinning the structure of the economy. Most of the money funded purchases of consumer goods. However, the mass outflow of people changed public attitudes towards emigration, opening the door for many others to follow. Following the dissolution of Yugoslavia in the early 1990s, violent conflicts and a sluggish transition from a centralised economy to open markets sparked massive emigration from the Western Balkans once again, expanding already large diaspora communities. By the end of 2013, 5.7 million people originating from the Western Balkans lived abroad, bringing the region’s average emigration rate to 31.2 percent – ranging from 18.2 percent in Serbia to 45.3 percent in Montenegro. Since the 1990s, a significant number of people have returned to the region – many of them coming back with ideas on how to rebuild their country. Nonetheless, in the last five years, slow growth and poor socio-economic conditions in the Western Balkans, coupled with diminishing prospects that countries there would join the European Union, have led to disappointment that resulted in a new wave of emigration. The Western Balkans’ hoped-for convergence with the EU – a transition establishing legal, economic, and social conditions comparable to those in member states – never took place. If the Western Balkans maintains an average growth rate of around 3 percent, as short-term World Bank projections suggest, it may take the region six decades to achieve the economic aspect of this convergence. In 2014, unemployment rates ranged from 12.4 percent in Albania to a staggering 31 percent in Macedonia, with unemployment especially high among young people – 62.3 percent in Bosnia and Herzegovina. In 2008, the global economic crisis damaged the region’s economy, forcing governments there to adopt austerity measures that prevented significant growth. As the Economist Intelligence Unit observed, “in 2012, GDP in the Western Balkans was still almost 10 percent below its 1989 level, whereas it was almost 60 percent higher on average in the countries that joined the EU in 2004–07.” Given such a stark absence of visible progress, there is a profound feeling within the Western Balkans that nothing will change, and that – in looking for a better life, greater opportunities, or merely a decent standard of living – citizens of the region are increasingly willing to move to other countries. By doing so, they hope to realise their potential elsewhere and enjoy the benefits of a prosperous society much faster than is possible at home. According to the latest census, around 3.8 million people live in Bosnia and Herzegovina. Approximately half of them have indicated they would be prepared to work abroad – the highest proportion in south-eastern Europe. A similar sentiment prevails in Albania, which experienced significant levels of emigration between 2011 and 2016. In neighbouring Kosovo, which has the youngest population in Europe and a relatively high birth rate, the picture is also bleak. According to April 2011 projections for the country, the number of its citizens living abroad would rise from an estimated 703,000 to 828,000, or around 46 percent of the population, by the end of 2016. As it transpired, Kosovo’s population decreased by 122,657 during 2012–2016. A political stalemate following elections in 2014, which left the country without a functioning government for months, also drove this latest wave of emigration. Indeed, according to estimates by several institutions, in around six months in 2014 and 2015, approximately 100,000 Kosovo citizens emigrated to other European countries and further afield. In 2011, in Kosovo’s municipality of Suhareka, 28,418 out of 88,126 residents left the country. 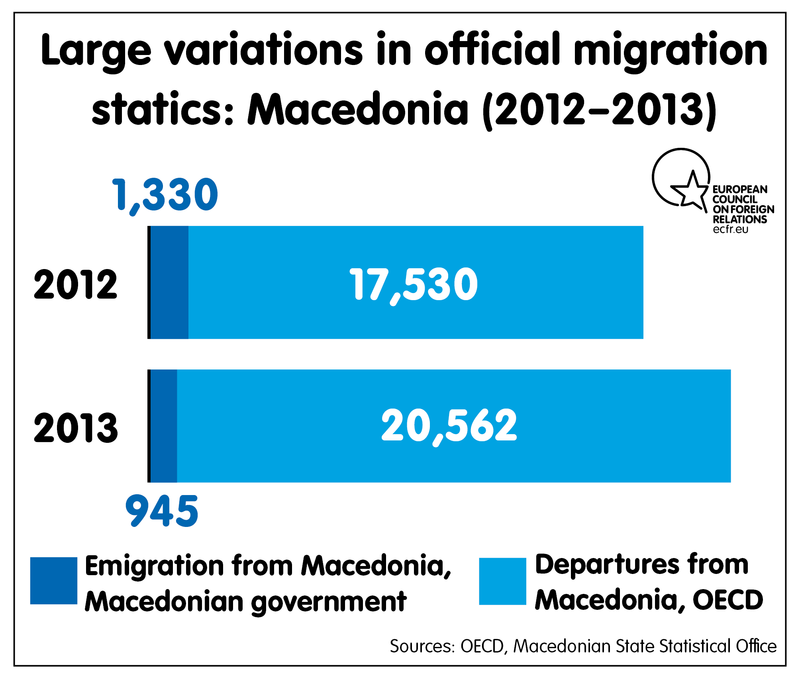 Other countries in the region have experienced similar levels of emigration. In neighbouring Serbia, around 30,000 people emigrate annually. Yet – contrary to the mainstream view – citizens depart the region not only due to economic hardship and the slow transition but also for more complex reasons. A recent survey in Croatia, which joined the EU in 2013, found that the most common triggers of emigration are corruption, primitivism, religious chauvinism, and nationalism. According to official statistics, 36,436 people left Croatia in 2016 (the number who have since returned remains unknown). Since 2013, 525 doctors aged between 24-46 have left the country, and around 1,215 more are preparing to leave. Although many hoped EU accession would provide enough incentives for people to stay and thrive in Croatia, as has occurred in Bulgaria and other countries, the process appears to have accelerated emigration, as the figures show. The absence of a region-wide political debate on migration is quite telling. Whether because they are morally embarrassed, incompetent, or just indifferent, political leaders in the Western Balkans have yet to begin unpacking the question of why people leave, let alone address the problem. While the media and non-governmental organisations are outspoken on migration, they too have failed to understand the complexity of the issue. It has almost become a platitude to describe the Western Balkans as an abandoned area, with the media featuring endless accounts of entire families who have been forced to leave. Against this heart-breaking optic, however, there is surprisingly little analysis of the positive effects of emigration, resulting in an almost complete inability to focus on the policies needed to soften its impact on society. For the moment, regional policymakers are making no strategic decisions on emigration, and appear to lack the attentiveness and maturity for the task. Until they do, emigration will continue to be an emotive issue. The EU has repeatedly expressed concern about high levels of emigration from the Western Balkans. For instance, European Commissioner Johannes Hahn said in November 2016 that “our aim is to stop the brain drain from the region, to give the region a perspective – for instance, a Balkans single market … would definitely create jobs”. The following February, during a discussion about tension in the region at the European Parliament’s Foreign Affairs Committee, Slovenian politician Tanja Fajon warned that the region suffered from growing nationalism and severe brain drain. Yet, according to the available data, the EU profits from this emigration a great deal. Germany, the wealthiest country in the EU, stopped accepting asylum applications from citizens of Western Balkans states in 2015. Since then, it has extensively relaxed its immigration laws for skilled workers from the region. Collectively, German companies have a record 780,000 job vacancies, or around 13 percent of their total capacity. In 2016, Germany welcomed only 40,000 new qualified workers, partly due to the language barrier and bureaucratic hurdles many immigrants face. The increasing number of vacancies in some key professions – such as engineering, software design, and healthcare – has prompted European countries to admit many people from the Western Balkans. Considering the current economic growth in Germany, it may result in even stronger emigration. As Germany’s population ages, these problems will grow in many industries. For example, German hospitals and care homes will need more medical staff. Migration has long enhanced the healthcare sector in OECD countries: in 2000, 11 percent of nurses and 18 percent of doctors they employed had been born abroad, allowing them to benefit from diversity and knowledge transfers. According to the latest statistics from the German Federal Employment Agency, Croatian nationals seem to be particularly well integrated into the German economy, with the unemployment rate among them at 5.6 percent – much lower than the average rate of around 14 percent for all immigrants. Migration boosts not only a country’s access to skilled labour but also its tax base. Some studies conducted in EU countries conclude that immigrants increase GDP by between 0.5 percent and 1.3 percent when they are employed at the same skill level as native-born residents. This is because they immigrate at their most productive age and are therefore able to maximise their working hours, directly contributing to the tax base. The increase is even greater when immigrants are highly skilled and employed in the often lucrative technology sector. Even the prospect of emigration affects economies: young people in the Western Balkans make educational choices in line with demand in a destination country more often than that at home, increasing competition in the some sectors. For instance, the number of people attending German-language schools in the region – such as the Goethe Centre in Sarajevo and the Mostar Centre for German language, “Vokabula”, which provides special courses for medical workers – is steadily increasing. It would be a mistake to think that wealthy states will change their immigration policies any time soon, so long as they have a demand for labour and the capacity to absorb workers from abroad. In light of this, it is important to understand the implications of large-scale immigration for poorer countries – especially those in the Western Balkans – and to mitigate its negative effects. Emigration trends in the region are undoubtedly worrying. The potential erosion of national health and education systems’ skills bases would present a challenge to any government, but this is far from the whole story. An oversimplified discussion of the issue would not only weaken policy responses but also marginalise the potential gains from emigration for the Western Balkans. Countries in the region have struggled to respond to large-scale emigration partly due to a shortage of reliable empirical studies – and therefore reliable data – on its effects on human capital and growth. Knowing whether a country lost 1 percent or 11 percent of its population in a year dramatically changes how a government addresses the challenge. The few studies there are feature widely varying figures. For example, the World Bank concluded that around 447,000 Macedonians lived abroad in 2010, while a European Commission report put the figure at around 544,000 for 2011 – an implausibly large rise. Although the World Bank had excluded Macedonians in the United States, Canada, Australia, and New Zealand from its study, the discrepancy still creates considerable uncertainty for policymakers. Furthermore, most countries in the Western Balkans, even the most developed ones, principally collect data on the population, while allocating responsibility for the management of migration and migration data to several different institutions. One partial solution to this data gap is for Eurostat to publish the detailed population assessments that, in line with internal policy, it does not make public. Another is for Western Balkans countries to align their data-collection methodologies and set up a reliable system for data exchange. In the short term, policymakers will continue to lack reliable data on emigration from the Western Balkans, and to have no realistic means of altering major trends in migration. However, they can still adopt proactive policies that ease economic pressure on the region, increase market access for citizens, and promote circular migration. In doing so, they need to acknowledge the limitations on their ability to control emigration, whose volume is often a product of conditions in destination countries. Germany has only received so many citizens of the Western Balkans because it has thousands of job vacancies. Moreover, wealthy countries set the benchmarks for competition; their increasing demand for highly educated workers results in a more skilled labour force at home and motivates would-be migrants to pursue qualifications, strengthening the human capital stock in regions such as the Western Balkans. This activity can greatly help countries in the region by essentially putting pressure on citizens who stay behind. Many who witness the best-educated people leaving become eager to pursue higher education themselves, as a way out. There is evidence that, as not all of these people eventually emigrate, the phenomenon raises the average level of schooling in the country. The data on educational development patterns in the Western Balkans shows that, during 1990-2010, the proportion of people with only a primary education decreased from 37 percent to 9 percent, and that the proportion of those with a tertiary education rose from 5.9 percent to 11.3 percent (these numbers are still significantly below EU averages). While there are numerous reasons why education levels improve – including technological advances and greater access to information – the prospect of emigration undoubtedly contributed to these trends. Aware that they have a chance to emigrate, students often change their field of study, take more foreign-language classes, and prepare for entrance exams. Governments in the region can facilitate this process by adopting policies that improve citizens’ access to education. As countries in the region take further steps towards integration with the EU, laws on their citizens migrating to member states are likely to be further relaxed. The information age eases movement between countries like never before. People are more mobile, educated, and productive than they have ever been. So, how does this benefit the Western Balkans? Firstly, migration acts as a control mechanism that promotes stability in the region. Emigration and remittances can reduce the high levels of unemployment – particularly those among young people – that can lead to violent revolts and other forms of unrest, compensating for a profound lack of local capacity to absorb the growing labour force. Highly educated immigrants often acquire skills and knowledge that can strengthen industries in their countries of origin if they return home. The return of specialists such as engineers and scientists can also help improve research and development programmes there. Large-scale emigration almost always facilitates the creation of new industries – as seen in India, where generations of successful former expats have helped reinvent the country’s software companies, simultaneously changing its approach to schooling and sectoral education. Countries in the Western Balkans lack access to the most advanced technology; indeed, many are quite underdeveloped in this area. But, as many citizens of the region emigrate to work in these industries, there is likely to be an increase in productivity back home through the adoption of existing technologies and skills acquired abroad – rather than through the domestic development of new technologies. Exposure to different skillsets and working cultures, along with newfound financial resources, inevitably contributes to a decision to return. In Albania, for instance, emigrants who have returned home are more likely to start a business than those who never left the country. Funds accumulated abroad are a significant factor in this. Around 50 percent of migrants who returned to Turkey after working in Germany in the 1980s became entrepreneurs, using capital they acquired abroad to launch their businesses. According to the World Intellectual Property Organization, former emigrants file 98 percent of patents in Albania, 75 percent in Bosnia and Herzegovina, and 71 percent in Serbia. Arguably, remittances also play an important role in the Western Balkans, even if they are in decline in some countries in the region. In 2015, the top ten recipients of remittances in Europe included Serbia ($3.6 billion) and Bosnia and Herzegovina ($2 billion). In the latter country, remittances, including foreign pensions, amounted to an estimated 11 percent of GDP. Given that migrants are thought to send half of all remittances through informal channels, the actual amount is much larger than that recorded in official statistics. Most of these remittances came from Croatia, Serbia, and Germany. In Kosovo, almost one-third of the country’s GDP comes from remittances – an average of €615m annually during 2012-2016. In 2016, these remittances, amounting to €347 per capita in Kosovo, continued to come largely from Germany and Switzerland – which accounted for 37 percent and 23 percent of the total respectively. Countries in the Western Balkans also benefit from other revenues from their diaspora communities, which maintain close ties to home for several generations. Indeed, a 2012 study based on UN Development Programme interviews found that more than 90 percent of Kosovo emigrants visit the country at least once per year, staying for between two weeks and a month while spending an average of €2,352. However, Western Balkans governments could do more to maximise the benefits of remittances. They are yet to explore the kind of remittances matching schemes used in other regions. One approach would be for Western Balkans countries to invest three euros for every one euro in remittances they receive. This scheme would require a great deal of coordination, but the countries’ multiple levels of government – which can make targeted contributions of various sizes according to their economic strength – and large diasporas could ensure its success. A remittances policy helps governments identify possible sources of development, including those in science and technology. All of this involves the development of institutions and creation of a set of strategies that support such efforts. The countries of the Western Balkans also need policies that encourage returnees to invest in, and reintegrate into, the domestic labour market. As it stands, they can do much to increase the positive effects of emigration from the region – such as determining the exact volume of emigration from individual states, enabling them to begin crafting future policies. This would require empirical research to determine effective policies. Governments need to pursue more formalised and structured bilateral agreements with destination countries, which could improve state control of migration while helping emigrants both return home and retain the benefits they enjoyed abroad after they do so – providing a visible incentive for others to return. In an age of open markets and the relatively free flow of labour across borders, it should come as no surprise that there is large-scale emigration from the Western Balkans to rich European countries, especially Germany. Western Balkans governments have limited means to prevent the emigration of highly skilled people even in favourable geographical, social, and economic circumstances. But they can ease the return of those who have left by introducing smart economic schemes and other incentives. To take advantage of migration’s enormous potential benefits (in economic, social, and human capital), leaders in the Western Balkans first need to change their narrative on the issue. Within the region, public discourse on emigration is currently limited to non-governmental organisations and other civil society groups, which warn about the departure of the most skilled workers and a decline in tax revenues in already weak economies. Institutions and policymakers need to acknowledge the uncomfortable truth about the number of people leaving the region if they are to shape the debate to their benefit. They also need to abandon empty phrases that mask reality. A failure to do so could further weaken countries in the region. As Western Balkans countries’ diaspora communities are large relative to their domestic populations, diaspora ministries should take the lead in this process. Economic, trade, labour, and finance ministries must also be involved in drafting policies and strategies on migration and development. Currently, a lack of communication between diasporas and these institutions hinders the effort. However, governments could appoint liaison officers for large diaspora communities, who would provide much-needed advice on emigration and aid attempts to develop concrete measures that benefit countries in the region. The discourse on how to make use of diasporas has made some progress in recent years. Kosovo launched in 2013 a campaign entitled “You are Part of the Homeland”, which registered 400,000 diaspora members – an important first step in tackling the issue. For the Western Balkans, emigration has been a tremendous source of growth, experience, and connections with the global market, but the key challenge is in promoting circular migration. Returnees to the region have perhaps had the greatest impact on government services and the financial sector in the region, with many of them now working in these areas. At least 20 percent of employees in the financial industry in Bosnia and Herzegovina, Serbia, and Croatia hold foreign degrees. Most Albanian government employees were educated abroad. With connections between knowledge-intensive sectors and institutions in the Western Balkans and Western Europe growing quickly, every government in the former region should aim to create a knowledge-based economy. In doing so, they could look to the Italy of the 1960s and 1970s, then a country of negative net migration. After undergoing balanced demographic change in the following two decades, Italy returned to positive net migration. The country experienced high immigration in 2002-2006, gaining an average of around eight people per thousand inhabitants annually. Poland also provides a potential model. Since 2004, when the country joined the EU, between 500,000 and one million Poles have migrated to the United Kingdom. In the past decade, many of them have returned to Poland. This is partly due to the global financial crisis that began in 2007, during which Poland was the only EU country to escape recession. Yet things have changed in the EU. Many Poles who had moved to the UK decided to return home following the country’s June 2016 vote to leave the EU. For countries in the Western Balkans, the domestic economy is key. The tide of emigration will begin to turn once the economy expands, the primarily economic fears that caused many to leave the region dissipate, and Western Balkans governments make a serious effort to persuade people to return. In much of the EU, fear of immigrants from the Western Balkans – often encouraged by politicians, right-wing parties, and populists – peaked in 2015. This followed several years in which the number of migrants from the region steadily rose, with many of them applying for asylum. Germany reported that more asylum applications came from Kosovo than all but one other state in 2015, the year in which it declared Western Balkans countries to be safe. Following Germany’s declaration, the EU began the ongoing process of deporting these applicants. Throughout, many European leaders and media outlets have portrayed economic migrants from the region as a threat, both to economies and local culture. Hungary was among the first EU countries to adopt a hostile tone on the influx of immigrants. A recent poll found that 46 percent of Hungarians classify themselves as anti-immigrant, more than three times the level in the early 1990s (when polling began). The unprecedented refugee crisis that began in 2015 – as conflicts in Syria, Iraq, and Afghanistan drove people to flee to Europe – further poisoned public discourse. Tensions over the prospect of accommodating even a small number of refugees soon turned into a major, state-led anti-immigrant campaign that persists to this day. But Hungary is not the only EU country to harbour these sentiments. Austria’s new right-wing government wants to maintain barriers to the Austrian labour market until at least 2020, beyond the limit of the labour-market transition period for new member state Croatia. The discussion began when Christian Kern, head of the Social Democratic Party, labelled Croatians as a potential economic threat in Austria, referring to the new government’s economic initiatives as a “programme of impoverishment” that promoted a “cheap labour market”. In reality, these restrictions might result in a shortage of workers in some sectors, including the tourist indsurty. Despite many EU observers’ views to the contrary, significantly fewer inhabitants of the Western Balkans emigrate than move from rural areas to cities within their countries. These urban areas draw citizens with improved employment opportunities and relatively high levels of development. In the Serbia, around 46 percent of people live in the cities of Belgrade, Novi Sad, Nis, Kragujevac, and Subotica, leaving many villages with 500 people or fewer. The depopulation of Bosnian villages and towns has become common. 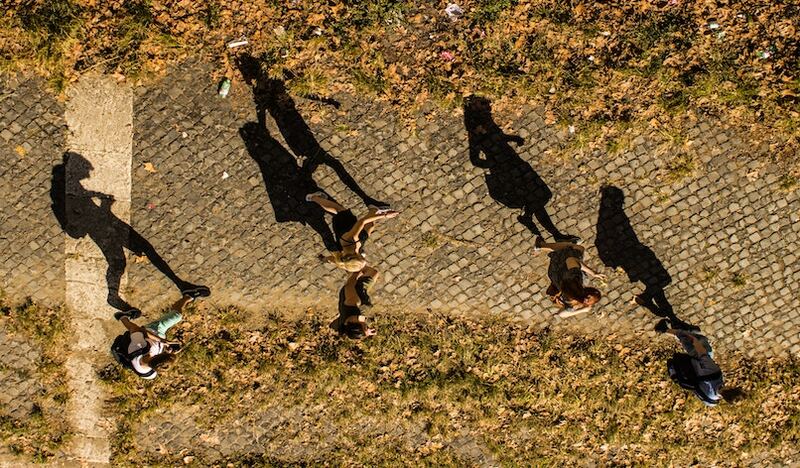 In Serbia, around 250,000 people move from rural areas to cities annually. In comparison, the EU deports 4,500 citizens of Serbia annually on the basis of a readmission agreement. The economic growth that often takes place only in cities or touristic coastal areas dictates the internal migration. At its core, the EU is about mobility. As such, the organisation is likely to embrace greater mobility in future. It should do so by using existing platforms to connect labour markets, clearly communicate employment demand and opportunities abroad, and promote circular migration by launching programmes that target professionals. The EU’s political and economic leverage, coupled with its well-established cooperation mechanisms in dozens of Western Balkans initiatives, allow it to offer guidance to governments in the region, and to integrate mutually beneficial measures into migration policies. While it would be counterproductive for the EU to obstruct or end migration from the Western Balkans, the sheer number of people leaving the region – and its effects on local economies – demands that the organisation structure its approach to migration assistance. Dozens of cooperation frameworks provide a unique platform in this effort. There is a role for the Regional Cooperation Council, which provides economic opportunities for young people and seeks to create jobs at home for those who would otherwise seek work abroad. Similar mechanisms are needed to promote circular migration – particularly in building capacity in science, research, and technology, which will be most economically beneficial in the short term and motivate people to stay. The undertaking should also involve labour markets and employment partnership schemes, taking advantage of the economic entwinement of EU and Western Balkans markets. Given that the EU accounts for around 75 percent of Western Balkans trade, and Western European banks control between 75 percent and 90 percent of the region’s banking sector, the more organised and somewhat novel financial structures that emigration flows create could improve Western Balkans economies. Despite EU member states’ differing views on the development of the common labour market, those that have a demand for and capacity to absorb migrant workers – especially Germany, Sweden, and Slovenia – should openly support circular migration, and encourage both other EU and Western Balkans economies to participate in it. One effective way to do this is to pave the way for more institutionalised migration. Health, education, and information-technology organisations in the EU would profit greatly from clarity on the steps they need to take to employ skilled workers from abroad, who would have the opportunity to re-establish themselves in their countries of origin at some point. This is especially important for countries such as Serbia and Bosnia and Herzegovina, on which migration is having a particularly strong effect. For example, by providing co-employment opportunity schemes involving an annual exchange of 100 Western Balkans healthcare specialists with top medical institutions in the EU, policymakers would enable mobility yet maintain the necessary level of expertise in the region. This would require the participation of medical boards in the Western Balkans, but this should be achievable given that the German employment agency already runs various programmes that could be used for the purpose. The EU should offer similar schemes to teachers, with destination member states contributing to the cost of migration, accommodating migrant educators at universities, and implementing a circular migration scheme that involves shared employment between universities and a fast-track promotion scheme for participants. Another way to promote circular migration would be to set up a starter package at top European universities offering free distance learning courses for 20,000 students each year. This approach would provide opportunities for future academics even where there was a lack of places on traditional courses, helping students from the Western Balkans gain skills and qualifications. The EU could provide 30,000 four-month work permits per year to citizens of Western Balkans countries – especially in the tourism, organic food, and energy sectors, which are resilient enough to provide a strong base in a changing socio-economic environment. This would create long-term employment opportunities and complement various EU assistance programmes. It would also boost circular migration in these sectors, thereby increasing the number of workers with high-value skills and creating new economic ventures for both the EU and the Western Balkans. The EU is also in a position to facilitate the introduction and adoption of new technologies and practices (shared in some institutionalised fashion) in the Western Balkans, which would help the region address its major pollution problems while strengthening the region’s underdeveloped sectors. Although the EU is only partly responsible for the success of such efforts, the organisation and its member states could do more to promote circular migration as part of their ongoing pursuit of European integration. This project is likely to unite member states in their efforts to formulate long-term economic and security strategies on the Western Balkans, given that they aim to bring prosperity to the region and eventually offer EU membership to countries there. Due to its geographic position and need for migrant workers, Germany is likely to remain Western Balkans states’ key partner in the undertaking. Thus, the country needs to carefully evaluate its laws and regulations on migration from the Western Balkans in light of the effects the phenomenon has on the region. Given the number of medical staff from the Western Balkans in Germany, Berlin could establish robust exchange programmes with, and medical science institutes in, countries in the region – providing both sides with greater flexibility. By creating the perception that there are no obstacles to movement between Germany and the region, the German government could attract medical specialists from the Western Balkans who might eventually want to return to the region. The approach could also have the benefit of increasing enrolment in high-value professions and educational sectors in the region. The EU should show, on a practical level, that it takes brain drain seriously and can listen to the concerns of the region’s citizens. In this, it should use all available mechanisms to formulate a new EU Western Balkans strategy, thereby demonstrating its commitment to the effort. The EU should adjust its Structural and Cohesion Funds to the context of large-scale emigration, and perhaps extend the initiative from only a few Western Balkans countries to all of them. The organisation should also use existing mechanisms, such as Eurostat, to further engage with the issue of migration, gather methodologically sound data on migration flows, and transparently report this data. Only an informed discussion can produce credible solutions. Eurostat should be able to align its monitoring systems with those of EU member states, providing open access to its databases. A constructive approach to emigration will remain elusive for as long as the issue continues to be discussed as strictly a moral and political crisis. For the EU, understanding Western Balkans countries’ perspectives on emigration is an essential step towards determining how its institutions can contribute to emigration management effectively. This process will establish realistic expectations on both sides. Given that the EU is already committing resources to the Western Balkans, it would benefit from opening further channels of communication between governments and institutions that can facilitate migration. Its immediate goal needs to be an open discussion about cooperation in the healthcare and education sectors, lest the departure of large numbers of skilled workers from the region damage societies there in the long term. The author would like to thank Tania Lessenska, Marin Lessenski, Jeremy Shapiro, Fredrik Wesslau, and Chris Raggett for their assistance with this project. Alida Vračić is a co-founder and the executive director of Populari, a Bosnia-based think-tank specialising in European integration in the Western Balkans, politics, governance, civil society, and post-conflict democratisation. She previously worked with the European Stability Initiative, and for the Human Rights Commission at the Constitutional Court of Bosnia. She has received several scholarships and fellowships, including a Chevening scholarship, a Stiftung Mercator fellowship, and a Marshall memorial fellowship. Miso Dokmanović, "Establishing criteria for quality in the social sciences in order to prevent brain drain from the Republic of Macedonia", Institute for Strategic Research and Education, available at http://www.isie.org.mk/wp-content/uploads/2017/12/ISIE-studija-odliv-na-mozoci-MAK.pdf. Anastas Vangeli, Nedzad Mehmedovic, and Bashkim Bakiu, “National Report: Brain Drain in Macedonia: Scope and Factors”, Center for Research and Policy Making, Skopje, April 2010, p. 1. Adisa Imamović, “Zastrašujući podaci: Stotine ljekara otišlo iz FBiH 2016”, TVN1, 16 January 2017, available at http://ba.n1info.com/a132717/Vijesti/Vijesti/Zastrasujuci-podaci-Stotine-ljekara-otislo-iz-FBiH-2016.html. “Odlasci ljekara: BiH godišnje gubi 50 miliona eura”, Al Jazeera Balkans, February 2018, available at http://balkans.aljazeera.net/video/odlasci-ljekara-bih-godisnje-gubi-50-miliona-eura., http://balkans.aljazeera.net/video/odlasci-ljekara-bih-godisnje-gubi-50-miliona-eura?page=1&qt-view__programs__programs_mega_menu_panel_pane=0. Đuro Kutlača, “Strengthening the Capacities and Infrastructure of Innovation in Serbia”, OECD Workshop on the Western Balkans Regional Competitiveness Initiative, 2-3 June 2010, available at http://www.oecd.org/global-relations/45870834.pdf. “Yugoslavia: Guest Workers”, Nations Encyclopaedia, December 1990, available at http://www.country-data.com/cgi-bin/query/r-14823.html. Population, households, and dwellings 1971 census, Yugoslavia, http://pod2.stat.gov.rs/ObjavljenePublikacije/G1971/Pdf/G19714001.pdf. Marjan Petreski et al., “The size and effects of emigration and remittances in the Western-Balkans: Forecasting based on a Delphi process”, 10 December 2016, available at https://mpra.ub.uni-muenchen.de/75512/1/MPRA_paper_75512.pdf. Matteo Bonomi and Dušan Reljić , “The EU and the Western Balkans: So Near and Yet So Far Why the Region Needs Fast-Track Socio-Economic Convergence with the EU”, Stiftung Wissenschaft und Politik, December 2017, available at https://www.swp-berlin.org/fileadmin/contents/products/comments/2017C53_rlc_Bonomi.pdf. “Balkan Barometer 2015: Public Opinion Survey”, Regional Cooperation Council Secretariat, 2015, available at http://bit.ly/2aPvw1g. Economist Intelligence Unit, “Why are the Western Balkans Lagging Behind”?, 24 March 2015, available at http://bit.ly/2aC6grG. Census of population, households, and dwellings in Bosnia and Herzegovina, 2013, available at http://www.popis2013.ba/popis2013/doc/Popis2013prvoIzdanje.pdf; “Balkan Barometer 2015”. Kosovo Demographics Profile 2018, Age structure: 25-54 years: 42.57 percent (male 425,815/female 381,037), available at https://www.indexmundi.com/kosovo/demographics_profile.html. Kosovo Ministry of Internal Affairs, “Migration Profile 2016”, p. 17, available at http://mpb.rks-gov.net/. Kosovo Ministry of Internal Affairs, “Migration Profile 2016”, p. 14. Besim Gollopeni, “Kosovar Emigration: Causes, Losses and Benefits Institute for Social Research in Zagreb”, 2016. “Srbiju godišnje napusti 32.000 ljudi”, Blic, 7 December 2014, available at https://www.blic.rs/vesti/drustvo/odliv-mozgova-srbiju-godisnje-napusti-32000-ljudi/3vb2e56. Webportal Index, 09.01.2018, “Zašto ljudi bježe iz Hrvatske? Zbog vjerske zadrtosti, korupcije i uhljeba”, available at http://www.index.hr/vijesti/clanak/zasto-ljudi-bjeze-iz-hrvatske-zbog-vjerske-zadrtosti-korupcije-i-uhljeba/1018200.aspx. “Hrvatsku napustilo više od 500 ljekara”, Al Jazeera Balkans, December 2016, available at http://balkans.aljazeera.net/vijesti/hrvatsku-napustilo-vise-od-500-ljekara. Martin-Werner Buchenau, Frank Specht, and Stephanie Ott, “Germany looks to immigrants to tackle skilled labor shortage”, Handelsblatt Global, 13 March 2018, available at https://global.handelsblatt.com/politics/germany-looks-immigrants-tackle-skilled-labor-shortage-897930. Christian Odendahl and John Springford, “The biggest Brexit boon for Germany? Migration”, Centre for European Reform, December 2017, available at http://www.cer.eu/insights/biggest-brexit-boon-germany-migration (hereafter, Odendahl and Springford, “The biggest Brexit boon for Germany? Migration”). Odendahl and Springford, “The biggest Brexit boon for Germany? Migration”. Wharton School of the University of Pennsylvania, “What migration can (and can’t) do for a country’s GDP”, 9 September 2013, available at http://knowledge.wharton.upenn.edu/article/what-migration-can-and-cant-do-for-a-countrys-gdp/. “Migration and Remittances Factbook 2011”, Second Edition, World Bank , available at https://siteresources.worldbank.org/INTLAC/Resources/Factbook2011-Ebook.pdf; Suzana Bornarova and Verica Janeska, “Social Impact of Emigration and Rural-Urban Migration in Central and Eastern Europe”, European Commission, April 2012. European Stability Initiative, “Accession revolution in Brussels – a new flagship – Usain Bolt and the quality of statistics”, 2015, available at http://www.esiweb.org/index.php?lang=en&id=67&newsletter_ID=99. Zovanga L. Kone and Çağlar Özden, “Brain Drain, Gain, and Circulation”, Knomad, 19 March 2017, available at https://www.knomad.org/sites/default/files/2017-04/KNOMAD%20WP19_Brain%20Drain%20gain%20and%20circulation.pdf. Oded Stark, Christian Helmenstein, and Alexia Prskawetz, “A brain gain with a brain drain”, Economics Letters, vol. 55, no. 2, 1997. Michael Landesmann and Isilda Mara, “Massive Migration and its Effect on Human Capital and Growth: The Case of Western Balkan and Central and Eastern European Countries”, Balkan Observatory, August 2016, available at https://wiiw.ac.at/massive-migration-and-its-effect-on-human-capital-and-growth-the-case-of-western-balkan-and-central-and-eastern-european-countries-dlp-4073.pdf. Landesmann and Mara, “Massive Migration and its Effect on Human Capital and Growth”. Matloob Piracha and Florin Vadean, “Return Migration and Occupational Choice: Evidence from Albania”, World Development, vol. 38, no. 8, August 2010. Christian Dustmann, Oliver Kirchkamp, “The optimal migration duration and activity choice after re-migration”, Journal of Development Economics, 2002, vol. 67, no. 2. Valbona Zeneli, “Western Balkans: The Young and Talented Leave”, Globalist, August 2017, available at https://www.theglobalist.com/western-balkans-the-young-and-talented-leave/. World Bank, “Migration and Remittances Factbook 2016”, October 2016, available at https://siteresources.worldbank.org/INTPROSPECTS/Resources/334934-1199807908806/4549025-1450455807487/Factbookpart1.pdf. World Bank, “Migration and Remittances Factbook 2016”. Kosovo government, “Statistical Yearbook of the Republic of Kosovo for 2017”, available at http://ask.rks-gov.net/media/3637/statistical-yearbook-of-the-republic-of-kosovo-2017.pdf. UN Development Programme, “Kosovo Human Development Report 2014: Migration as a Force for Development”, p. 35, available at http://hdr.undp.org/sites/default/files/khdr2014english.pdf. For example, Bosnia’s multiple levels of government (such as cantons and districts) can each assume some financial responsibility for the scheme. IDEA, “Italy: The Italian transition from an emigration to immigration country”, March 2009, available at http://www.idea6fp.uw.edu.pl/pliki/WP5_Italy.pdf. Federal Agency for Civic Education, “Poland”, available at http://focus-migration.hwwi.de/Poland.2810.0.html?&L=1. “Asylum seeker numbers rise dramatically – Kosovo and Syria top the list”, Deutsche Welle, February 2015, available at http://www.dw.com/en/asylum-seeker-numbers-rise-dramatically-kosovo-and-syria-top-the-list/a-18244569. “Arbeitsmarkt: Regierung will längere Übergangsfrist für Kroatien”, Kurier, March 2018, available at https://kurier.at/wirtschaft/arbeitsmarkt-regierung-will-laengere-uebergangsfrist-fuer-kroatien/312.928.149. 2002 census figures for Serbia. Ljiljana Pejin-Stokić and Vladimir Grečić, “Social Impact of Emigration and Rural-Urban Migration in Central and Eastern Europe”, European Commission, July 2012, p. 8. “Unutrašnje migracije prijete Srbiji”, Al Jazeera Balkans, February 2013, available at http://balkans.aljazeera.net/vijesti/unutrasnje-migracije-prijete-srbiji. Matteo Bonomi and Dušan Reljić, “The EU and the Western Balkans: So Near and Yet So Far: Why the Region Needs Fast-Track Socio-Economic Convergence with the EU”, Stiftung Wissenschaft und Politik, December 2017.